Panama Jack's Isle of Palms collection reflects the tropical feel of its name-sake on the South Carolina coast; bringing to mind swaying palms, cool breezes, and warm sun and sand. The rectangular wood back arm chair finished in your choice of a durable antique white or Sun bleached light mahogany, is comfortable and inviting. 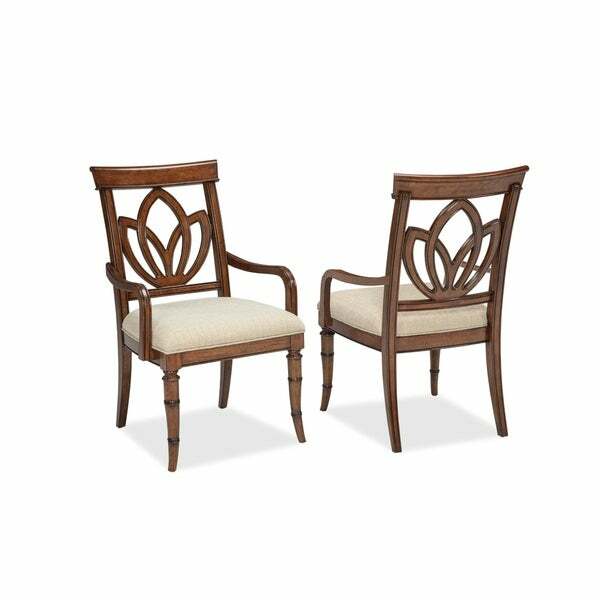 Our tropical accents continue - turned legs and fretwork palm leaves on the dining chair backs. Share meals and conversation with family and friends in the inviting comfort of Isle of Palms. Dimensions 25.0 In. X 22.9 In. X 38.4 In.